A watershed is an area of land bounded by physical barriers that catch rain and snow, that ultimately drains or seeps to a particular marsh, arroyo, stream, river, lake or groundwater recharge area. Watersheds do not respect political boundaries – they only follow the constraints of topography. Whatever happens at the highest point of a watershed soon shows up at the lowest.  Watershed management plans prepared by agencies like SSCAFCA provide opportunities for communities to address water quality, control and conservation issues within the physical boundaries of a watershed. They offer the opportunity to develop an inclusive approach to support flood protection, quality of life issues and environmentally sustainable development – using the watershed as a holistic planning framework. Our plans for managing watersheds define a process for maintaining, protecting and restoring the natural resources within each watershed while also enhancing the quality of life in the included communities. Each identifies and prioritizes necessary improvements to the watershed in order to provide flood protection up to the 100-year storm within that watershed; to reduce sediment, water pollution and erosion; and to actualize the multi-use potential of land purchased or controlled for floodways. Comprehensive plans for flood control and watershed protection have been drawn up for the watersheds of the Black, Montoyas, Venada and La Barranca Arroyos, as well as for the Unnamed Arroyo. Rainwater harvesting is the accumulating and storing of rainwater for reuse before it reaches the aquifer. It has been used to provide drinking water, water for livestock, water for irrigation, as well as other typical uses. Rainwater collected from the roofs of houses and local institutions can make an important contribution to the availability of drinking water. Rainwater Harvesting conserves water by making use of a sustainable renewable resource. Every gallon of rainwater used for irrigation is one less gallon of municipal or well water used. Rainwater harvesting can ensure an independent water supply during water restrictions, despite climate change forecast. 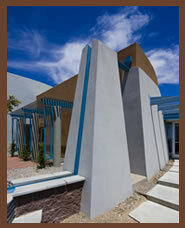 It produces beneficial effects by reducing peak storm water runoff and processing costs. Rainwater harvesting systems are simple to install and operate. They provide water at the point of consumption. Pollution in the Rio Grande is reduced. Rainwater is naturally low in salts, so plants thrive on it. Public funds are better utilized. Less erosion means less maintenance.